China’s Film Investors: How Do You Do, Bruno Wu? When friends in China began telling me last month that a Chinese investor was making a serious play to buy Summit Entertainment, I must admit I was skeptical. His name, Bruno Wu, was unfamiliar to me, and I had long ago grown inured to the come-ons of visitors from China professing to be bona fide investors. Not that China by any means has the monopoly on posers and wannabes, but I’ve observed a strong correlation between the economic rise of the PRC and the number of Chinese trolling around Hollywood claiming to have money, connections, and the keys to the Middle Kingdom. Many, as anyone involved in Hollywood’s film industry can attest, deliver nothing more than 热风 (hot air). But when Wu’s name came up in conversation a second, a third, and a fourth time, I realized there might be more to his story, and I decided to investigate. My first call, as usual, went to my good friend and attorney John Zhang, a partner at the Reed Smith law firm and one of the world’s top attorneys focused on U.S.-China business. Indeed, Yang Lan’s name invariably comes up when Wu is mentioned. The Chinese power couple has made substantial and extremely lucrative careers together in Chinese media. Their China Sun Media is a significant player in Chinese television production, print and online publishing, and in 2009 Forbes listed them as the 207th wealthiest people in China, with an estimated fortune of $510 million. Both Yang, 43, and Wu, 45, were educated in China and in the U.S., she at Beijing Foreign Studies University and at Columbia University in New York, where she earned an MA in International and Public Affairs; he at Culver-Stockton College, Missouri, and later at Washington University in Missouri where he earned his MA in international affairs. They were married in 1995 at New York’s Plaza Hotel. The couple’s ascent as media titans began long before they met, when Yang Lan was selected in 1989 from over 1,000 applicants, at the age of 21, to host the Zheng Da celebrity quiz and talk show on China Central Television (CCTV). 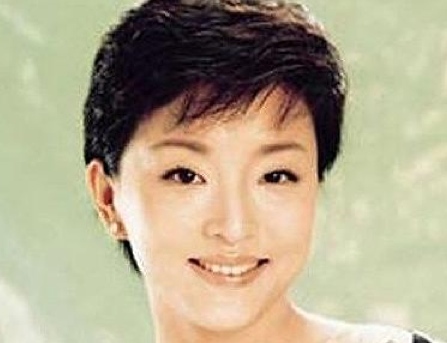 The timing for Yang could hardly have been better: in the post-Tiananmen era a new class of people—young, educated, upwardly mobile—was beginning to take root, and they turned to Yang as a sort of Chinese Oprah Winfrey. Within a year she was drawing TV audiences of 220 million. Wu, for his part, began his career after he and Yang married and returned to China in 1996. 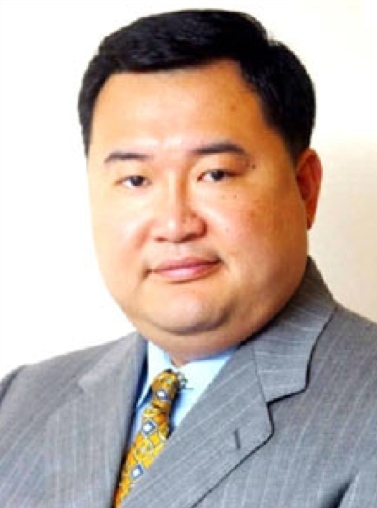 He joined Hong Kong broadcaster ATV and served as its COO until 1999, when he and Yang co-founded Sun Media, for which he serves as Chairman. They took the company public on the Hong Kong stock exchange barely a year later, and on the strength of the TV, print and internet businesses they established together, before long the company was trading at a value of nearly $200 million. Wu also served briefly as Chairman of Sina Corporation, which has since gone on to become China’s Twitter, and as a director of Shanda Interactive Entertainment, a leading online game operator. But at the time of his reported discussions with Summit Entertainment, Wu had little experience as a film executive, and it may have been this inexperience that ultimately doomed his bid for the owner of the Twilight franchise. According to Sun Media’s corporate website, the company’s foray into film production and distribution only began in 2010, when it entered into a strategic partnership with China Film Group “with an aim to produce a variety of high quality content for women audiences.” In October of 2010 Sun released its first and only film to date, a 90-minute feature titled “Love, Finally,” which was distributed online. My sources tell me that Wu’s bid for Summit would have been more lucrative for Summit’s shareholders than the $412.5 million in cash and stock that Lionsgate put on the table, but skepticism over Wu’s motives and his inexperience in film led them to accept the lesser Lionsgate deal. Wu has said that he is still on the hunt for media acquisitions, and with partners like the $37 billion finance firm Harvest Global Management and former TPG China head Shan Weijian, he should be well positioned to finance a substantial deal. A recent Financial Times article speculated that Wu might be exploring a purchase of the large stake in Relativity that Elliot Associates is so eager to jettison, but logic dictates that with their collective experience and brainpower, the Wu consortium will be smart enough to avoid obvious investment blunders. My own personal experience tells me that Wu is but one of many Chinese individuals and institutions with the wherewithal and desire to invest in Hollywood. Although no Chinese investor has yet made an acquisition of a major Hollywood brand, the Year of the Dragon will likely be the time for that to finally happen. This entry was posted in Analysis, General News and tagged Bruno Wu, China Central Television, Harvest Global Management, John Zhang, Lionsgate bid, Rob Cain, Robert Cain, Shan Weijian, Shanda Interactive, Sina Corporation, Summit, Sun Media, Yang Lan, Zheng Da, 吴征, 杨澜 by chinafilmbiz. Bookmark the permalink. Yang and Wu really are the real deal, if anyone is well placed it will be them to bridge the gap between China and Hollywood. Be prepared for anything to happen this year I think. I like to have a contact with Bruno Wu. I will ask him if he is interested to join my company to become the biggest production company in New Zealand.